Platform Height Elevated - 18' 9"
Capacity on Platform Extension - 250lbs. Turning Radius (outside) - 69"
Platform Size - 30" x 73.5"
Overall Length - 6' 15"
Fixed rails 198cm allows drive through standard 203cm door. 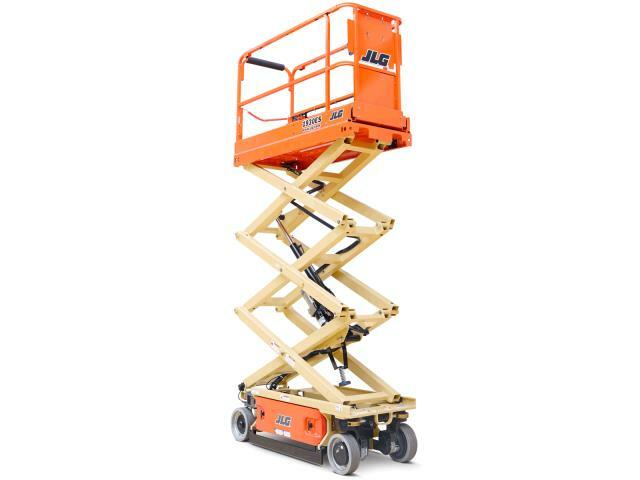 * Please call us for any questions on our lift scissor jlg 1930es electric rentals in Fort Madison IA, serving Southeastern Iowa and Western Illinois.